Natural Soy Candles are great. If you walk around home, you’ll scent fragrances around every corner. Loverth brings you earths beautiful and natural fragrances we all love. Soy candles are candles made from soy wax, which is a processed form of soybean oil. 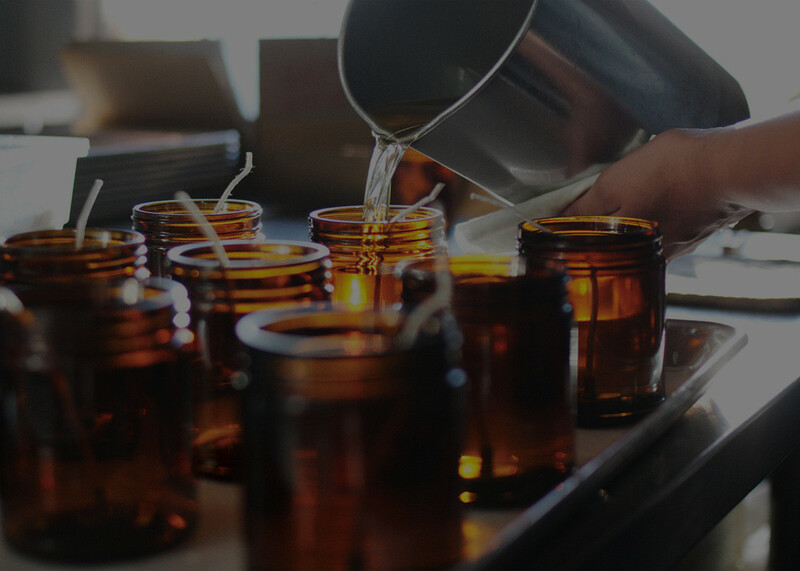 They are usually container candles, because soy wax typically has a lower melting point than traditional waxes, but can also be made into pillar candles if certain additives are mixed into the soy wax. In 1995, the Body Shop, a national chain of stores, was the first to offer soy candles to the general public. The first natural wax candles which were delivered to the Body Shop were a mixture of beeswax and almond oil. Later this almond oil was completely replaced with soy wax. In 1996 Michael succeeded in replacing the expensive beeswax with soy wax. The candle wax then mainly consisted of hydrogenated soybean oil. He developed different mixtures of soy wax for container candles and free standing candles, which needed a higher melting point. The soy wax producer Candleworks negotiated in 1997 a research project with the University of Iowa which resulted in the study: “Increasing the Use of Soybeans in the Manufacturing of Candles”. In 1998 The Indiana Soybean Board unveiled at the Farm Progress Show special patented soy wax, Harvest Lights, which was developed by a farmer-funded group. Rezaei, K., T. Wang, and L. A. Johnson. Hydrogenated vegetable oils as candle wax. J. Am. Oil Chem. Soc. 79: 1241-1247 (2002). Rezaei, K, T. Wang, and L.A. Johnson. Combustion characteristics of candles made from hydrogenated soybean oil. J. Am. Oil Chem. Soc. 79: 803-808 (2002). Cargill bought in 2001 the patent of Michael’s soy wax innovation. Now Cargill manufactures soybean wax, which is supplied to soy wax candle producers. This entry was posted in Soy Candles and tagged history, Soy Candle, Soy Wax.